25 years ago the province of Zambales was mostly known by travelers for its Subic Bay Freeport Zone (formerly Subic Naval Base, the largest American naval facility outside the United States at the time) and Mt. Pinatubo, whose eruption in 1991 was the second largest volcanic eruption of the century. There were beaches along its western coastline, to be sure, but these were ordinary-looking gray-sand beaches. Potipot Island lies off Barangay Uacon in the town of Candelaria just before the northernmost town of Santa Cruz, Zambales. It remains as one of the most accessible islands we’ve visited. The jump-off points are relatively close to the national highway and the island is just ten minutes or less by boat from the mainland. There are no resorts on the island although there are several huts and picnic tables. Potipot is a small island and it is possible to walk around the whole place in 30 minutes. 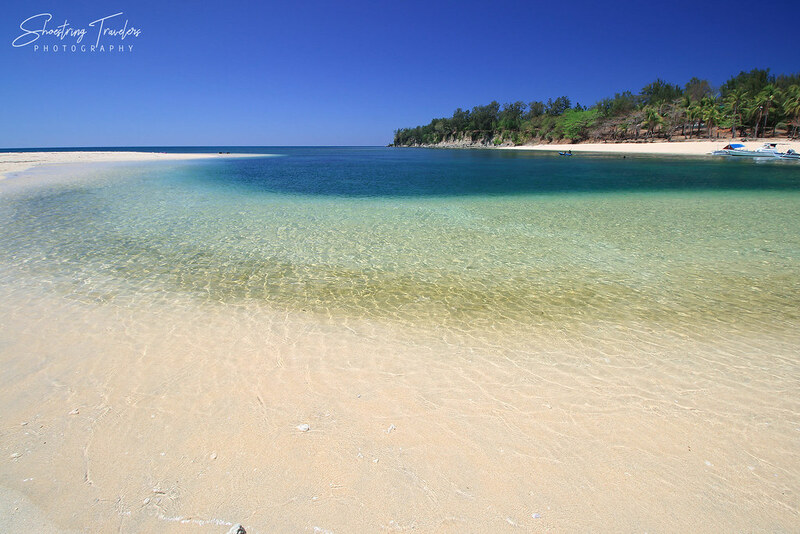 Blessed with creamy white sand and clear waters, the beaches here are ideal for swimming. The place can get packed on weekends especially during summer, but during the two times we visited (the first time was in 2012) we went on a weekday and managed to avoid the crowds. 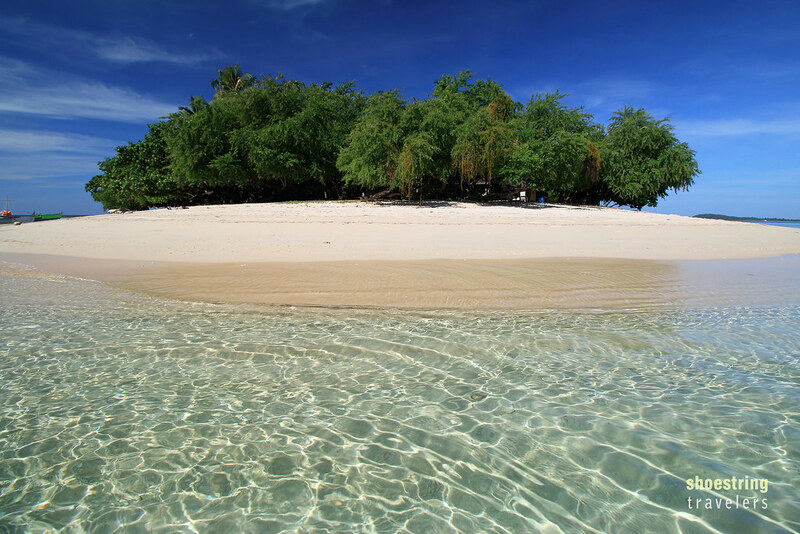 A bit further down south and just off the town of Palauig is Magalawa Island. It was still relatively obscure when we visited more than 5 years ago. Getting to Magalawa required a rough 15-20 minute ride through a graded but unpaved road from the main north-south highway but, after that ride, the island is just 5 to 10 minutes away from two jump-off points on the mainland. Cream-colored sand and emerald green waters along the beachfront where two resorts are located greeted us as we landed here. Magalawa’s laid-back atmosphere provides a perfect environment for chilling. A mangrove area on the western side of the island makes for a beautiful backdrop at sunset. 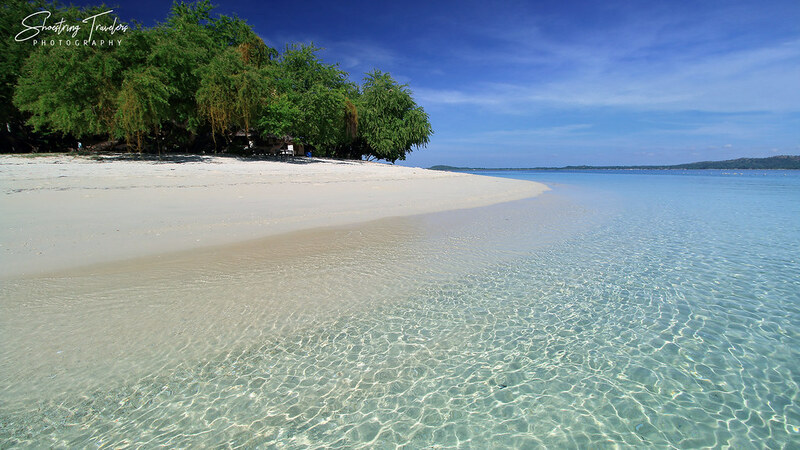 A bonus destination is a giant clam sanctuary and a white sand bar off nearby San Salvador Island. 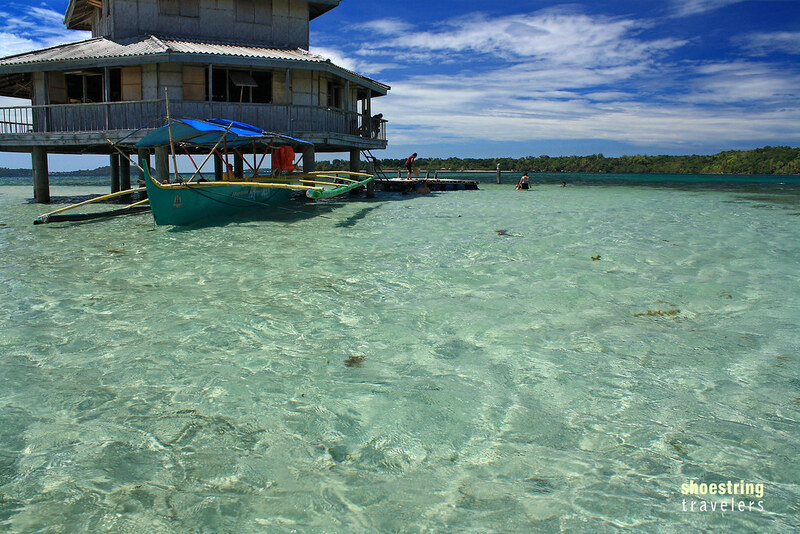 The Bacala Rest House at a sandbar off San Salvador Island. 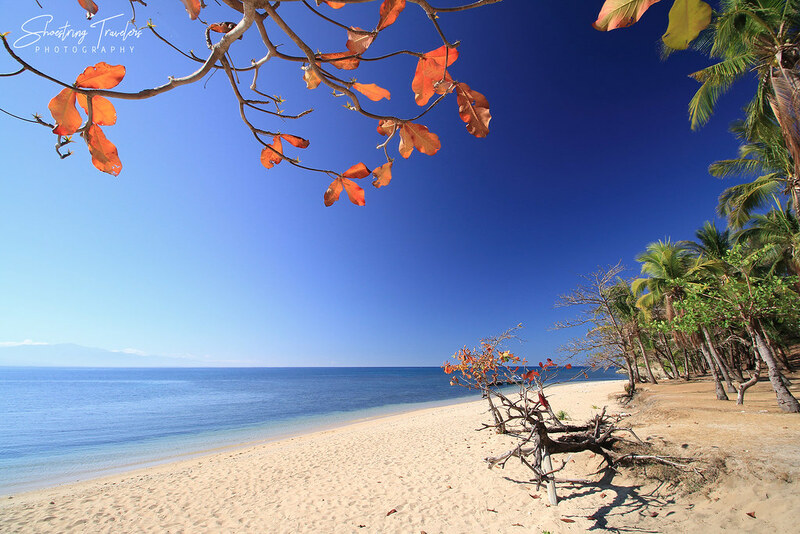 We’ve set our sights on this island as far back as 2010 when we first visited Tambobong Beach in Dasol town, Pangasinan. Located off Santa Cruz town – the northernmost municipality of Zambales – Hermana Menor was off-limits to visitors back then, being privately owned. The ownership has changed hands in recent years, however, and the island is now open to visitors. Also called Makatira Island by the locals, Hermana Menor charmed us with its crystalline turquoise and blue-green waters and a long stretch of powdery, creamy white sand. A curving sandbar projected from the northeastern tip of the island out to sea before turning slightly inwards, creating a lagoon near a white-sand beach where boats normally land. The waters where the lagoon is located is part of a marine sanctuary and therefore a good location for snorkeling. In the distance one can spot Hermana Menor’s sister island: Hermana Mayor (hermana mayor is translated older sister), a larger island with another stunning sandbar, which is still off-limits to visitors. These two rocky islets are easily visible from the beach of the fishing village of Pundaquit in San Antonio town and can be reached by boat in 15 to 20 minutes. During both occasions when we visited Capones and Camara Islands, the boat rides were a little rough but the scenery that greeted us made the trip worthwhile. Both islands are characterized by huge rocks, white sand beaches and clear, emerald waters. One can easily spot small fish swimming just off the rocks on the beaches in both islands. There’s an old lighthouse at Capones which can be reached by trekking from the beach, although we did not get to visit it during our two visits to the island. The first things that stood out during our first visit here were the neat rows of evergreen trees (aguho trees in Filipino) at the back of the beach. We were also delighted by what initially appeared to be the white sand on the beach but on closer inspection the sandy material turned out to be whitish-grey volcanic ash. The latter was deposited by the eruption of nearby Mt. Pinatubo in 1991. Behind the beach is a small evergreen forest and a creek. Accessible by a 30 minute boat ride from Pundaquit, Anawangin Cove may also be trekked by land through the hills beyond Pundaquit. Anawangin was once totally isolated but now small stores, huts, shower rooms and other basic amenities have sprouted up in the past few years to cater to the crowds. To the south of Anawangin are more coves on this side of Zambales. Nagsasa Cove is a much larger, more pristine spitting image of Anawangin. We got to visit this place back in 2011. The emerald green waters, the long stretch of grayish white sand, more evergreen trees, a shallow lagoon just at the back of the beach and a green, rolling valley beyond make Nagsasa such a scenic destination. Nagsasa is about 20-30 minutes away from Anawangin Cove by boat – or about a one hour’s ride from Pundaquit. Like Anawangin, it has also opened its share of facilities to visitors, albeit without a full-blown resort. Halfway between Nagsasa and Anawangin lies Talisayin Cove. Practically similar in appearance to the two other coves it also does not house any resort although there are some beach huts and a big beach house that is used as a vacation place. It seems that this area is privately owned. Silanguin Cove is the most remote of the four coves from Pundaquit and is actually closer to Subic Bay. It is the largest of all the four coves. The village of Pundaquit is the jump-off point for Capones and Camara Islands and the coves of Anawangin, Talisayin, Nagsasa and Silanguin. However, Pundaquit is in itself already a worthwhile destination. Surfing during the monsoon season is becoming popular along its beachfront. One can also observe sea turtles arriving to lay eggs during the months of December to February. Numerous resorts have sprung up in Pundaquit in the past ten years and visitors may opt to stay there while island- and cove-hopping. Posted in Travel Philippines, ZambalesTagged Anawangin Cove, beach, Ca;pones Island, Camara Island, Hermana Menor, island, Magalawa Island, Nagsasa Cove, Potipot, San Salvador Island, ZambalesBookmark the permalink. I always thought our South African beaches were the the best. These are wavelessly beautiful. Hi. Come. Visit. Ill be on hand to help you.